The stage dramatized with panels displaying forestry scenes weaved between an assortment of instruments awaited for LP. 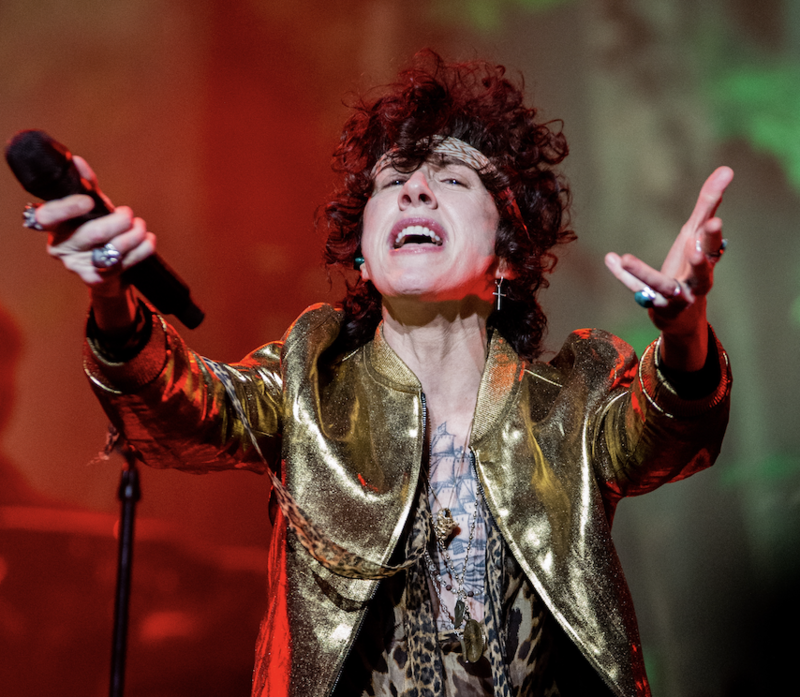 On the “Heart To Mouth” tour in promotion of her fifth studio record under the same name, LP grabbed the microphone with a powerful essence, erupting into opening song “Dreamcatcher” at The Wiltern in Los Angeles. Outfitted in a gold bomber jacket over a leopard blouse paired with black jeans, a printed headband draped across her forehead and her signature cross earring, the audience of Angelenos gazed as she drifted across the stage. With a consistent soulful fluidity to her voice, the singer-songwriter appeared to have no restraints as she executed every note. Complementing her vast vocal range, LP fluctuated between the acoustic and electric guitar, ukulele and tambourine. The constant shift in her use of instruments, song temperament from uplifting to melodic and engagement with her band members and those in the pit reaching their hands up to the stage brought a continuous source of new energy. Approaching the middle of the set, there was a climatic peak as the audience roared at the initial note for song “Tightrope.” The lights projecting onstage correlated with the distinct drum hits before going dark. Continuing with her more commonly known songs exaggerated through onstage theatrics, LP with her ukulele in hand performed “Girls Go Wild.” Within the instrumental sections, her distinct whistle echoed across the audience. Dwindling to a more anthemic vibe, ending song “Lost on You” proved the right mix of invigorating and hopelessly romantic, leaving the crowd in a sense of serenity before emerging into the aggressive nature of Ubers fighting for curb space and those selling bootleg merch crowded on this small segment of Wilshire Boulevard.